Emma Pass has been making up stories for as long as she can remember. Her debut novel, ACID, is out now from Corgi/Random House in the UK, and from Delacorte in the US. It won the 2014 North East Teenage Book Award, was shortlisted for the Doncaster Book Award, nominated for the 2014 CILIP Carnegie Medal and has been longlisted for the 2014 Branford Boase Award and a Silver Inky Award in Australia. Her second novel, THE FEARLESS, is also out now in the UK from Corgi/Random House and will be published in the US in early 2015 by Delacorte. 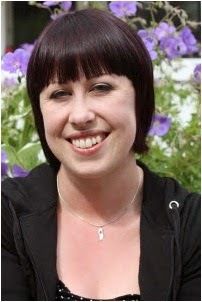 By day, she works as a library assistant and lives with her husband and crazy greyhound G-Dog in the North East Midlands. The Fearless. An army, powered by an incredible new serum that makes each soldier stronger, sharper, faster than their enemies. Intended as a force for good, the serum has a terrible side effect – anyone who takes it is stripped of all humanity, empathy, love. And as the Fearless sweep through the country, forcing the serum on anyone in their path, society becomes a living nightmare. Cass remembers the night they passed through her village. Her father was Altered. Her mother died soon after. All Cass has left is her little brother – and when Jori is snatched by the Fearless, Cass must risk everything to get him back. Now, here are her ten stages of writing a novel. But… what if I'm not a good enough writer to do this idea justice? Perhaps I shouldn't bother. Perhaps I should just, y'know, stick to writing Facebook posts instead. 4. It's Just A Bad Day… Right? Uh-oh. Plot snarl. But… but… that's normal, right? Just keep going. Everything will be OK.
Um, no, it won't. Hello, brick wall. I have a first draft! 400 pages of, um… stuff. And plot holes. Plot holes so wide and so deep you could lose the Empire State Building in them. This book doesn't actually make any sense. ACID - Her dystopian YA is out now from Corgi Children's Books/Random House (UK), Montena/Random House Mondadori (Spain) and Delacorte (US). 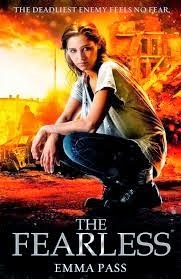 THE FEARLESS - Her post-apocalyptic YA is out now from Corgi Children's Books/Random House (UK) and coming early 2015 from Delacorte (US). Oh this is all so horribly familiar Emma! Glad it isn't just me.